Families, All-Stars and Celebrities; the last few seasons of The Amazing Race Philippines have featured different twists on the Race you know and love. But now it’s time to go back to basics. The 11 new teams on this season are all regular, everyday people ready for an adventure around the world. None have viral videos on the internet, none have showbiz experience or connections. But all are ready for the adventure of a lifetime! And because of that, these 11 new teams can use some friendly advice. 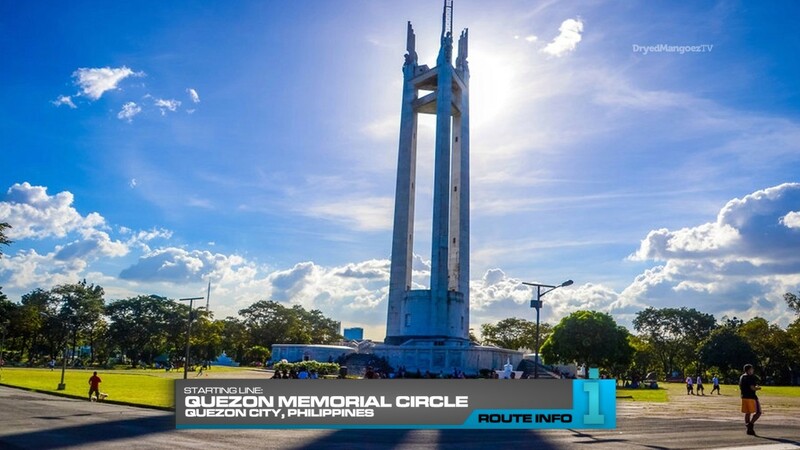 And they’re getting it as they are currently being driven by 11 Amazing Race Philippines veterans in brand-new 2016 Kia Sorentos to the Starting Line at Quezon Memorial Circle in Quezon City. Before teams can set off on the Race, they will need to get their first clue and plane tickets to their first destination. And to get them, they will need to figure out what that first destination is. Surrounding this mausoleum containing the remains of President Manuel L. Quezon are 11 bundles of seven bamboo pieces, each with letters on them. 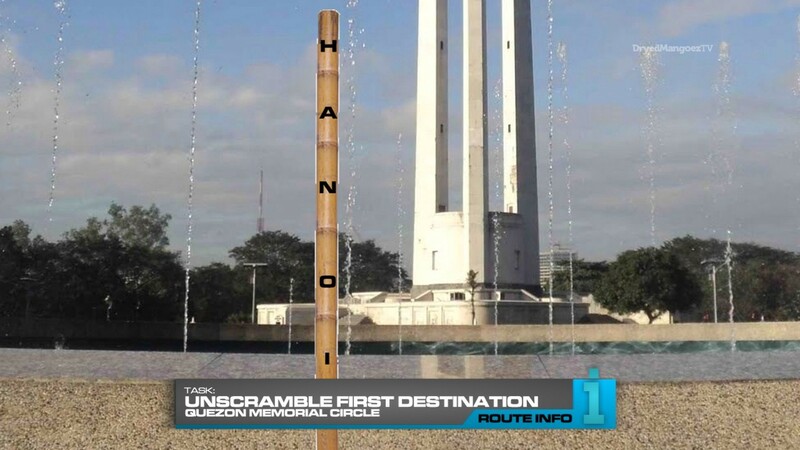 Teams will need to unscramble the letters and spell out their first destination city using five of the seven bamboo pieces to form a long bamboo stalk. 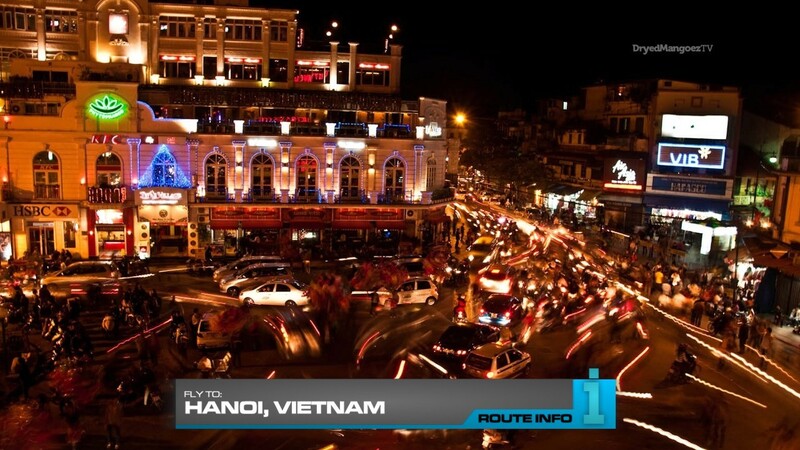 Their first destination city is: HANOI. The teams must present the completed bamboo stalk to receive their first clue envelope which also contains their tickets. The first five teams will be on the first flight on China Southern via Guangzhou arriving in Hanoi at 11:15pm. The last six teams will be on the second and direct Cebu Pacific flight arriving in Hanoi at 12:30am. The time advantage may be beneficial because for the first time ever, the first four teams who check-in at the Mat at the end of this first Leg will have a chance to win one of two available Express Passes and one of two available Super Yields! 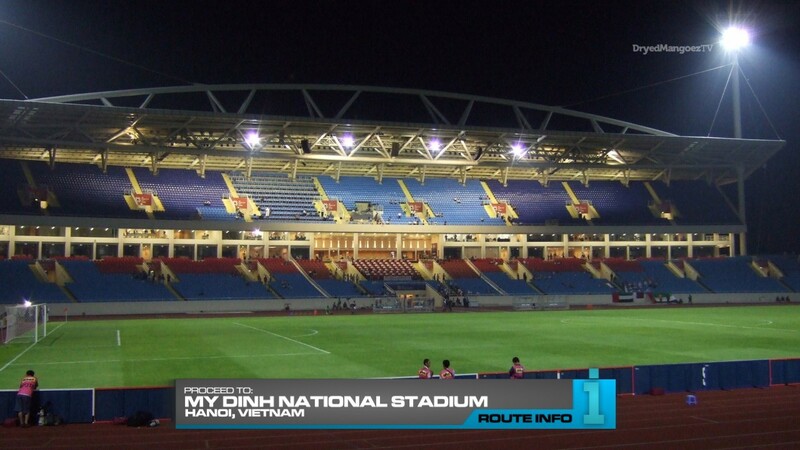 Once teams have arrived in Hanoi, they must make their way to My Dinh National Stadium for their next clue. And that clue reveals a Duel Duel! Teams will face off in best-of-3 matches in which one team member each will hold onto a stick. They must pull or push the stick in order to get their opponent to leave the playing area to win the match. If neither team wins a face off within one minute, both teams lose. The team who can win two face-offs will get the next clue which includes a departure time for tomorrow morning. The loser of the Duel Duel will face the next team. If neither team can win two fave-offs, both lose and must go to the back of the line. Three teams will depart at 8:30am, three teams will depart at 8:45am, four teams will depart at 9:15am and the last team to lose the Duel Duel will depart on their own at 9:30am. 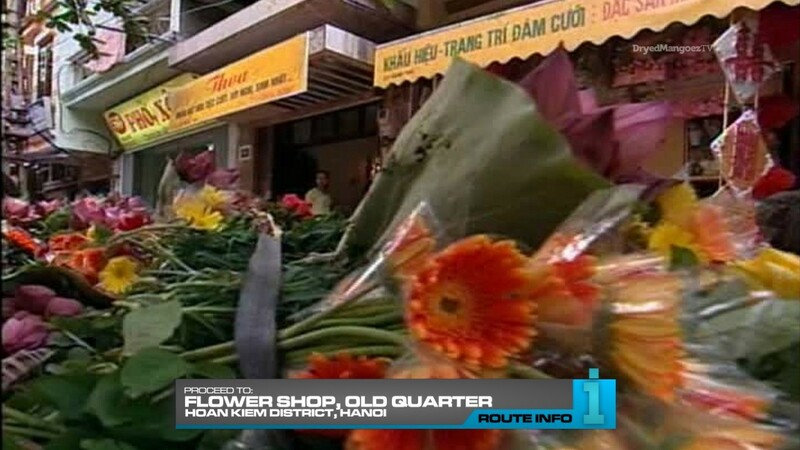 Next morning, teams must find the Thoa Flower Shop in the Old Quarter in the Hoan Kiem District of Hanoi. Here they must purchase a small flower bouquet which will also contain their next clue. 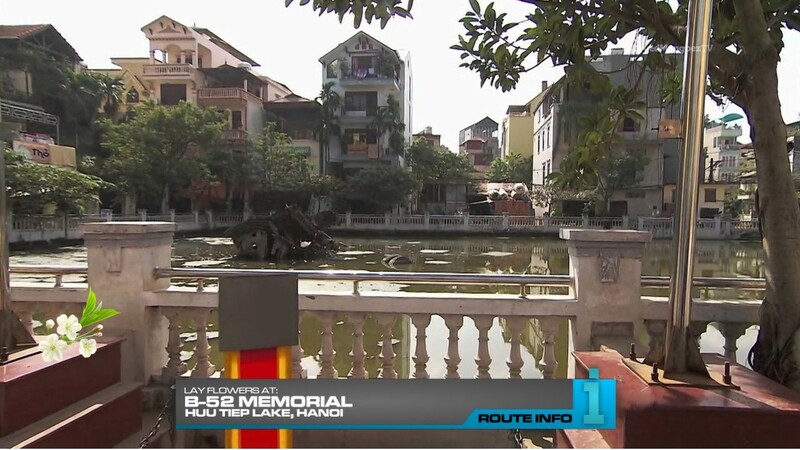 Teams will then make their way to the B-52 Memorial on Huu Tiep Lake. They will be laying the flowers here at the lake in tribute to Filipino veterans of the Vietnam War. They will then open the next clue which reveals the Road Block: Who wants to take a shot? For this Road Block, teams will help a chef extract a snake’s gallbladder. 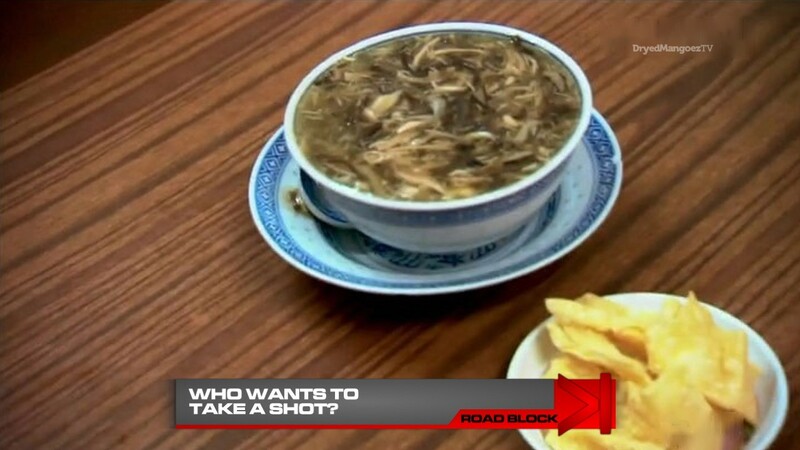 Teams will then need to drink a shot made out of the snake’s bile before eating a serving of snake meat soup to receive their next clue. And that clue reveals the Detour: Homemade Coal or Handmade Basket. 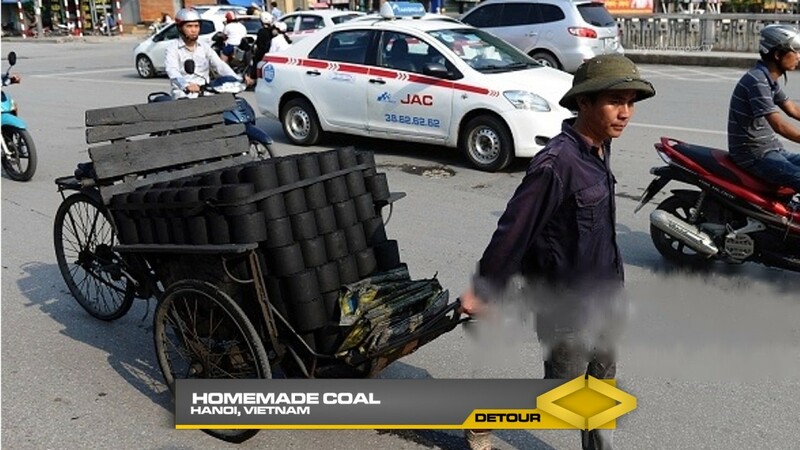 In Homemade Coal, teams must make 20 coal bricks in the traditional way and then load a delivery cyclo with 300 already prepared bricks to deliver to a nearby address. They will be given a receipt once they have unloaded all the coal bricks. And they can exchange that receipt for their next clue. 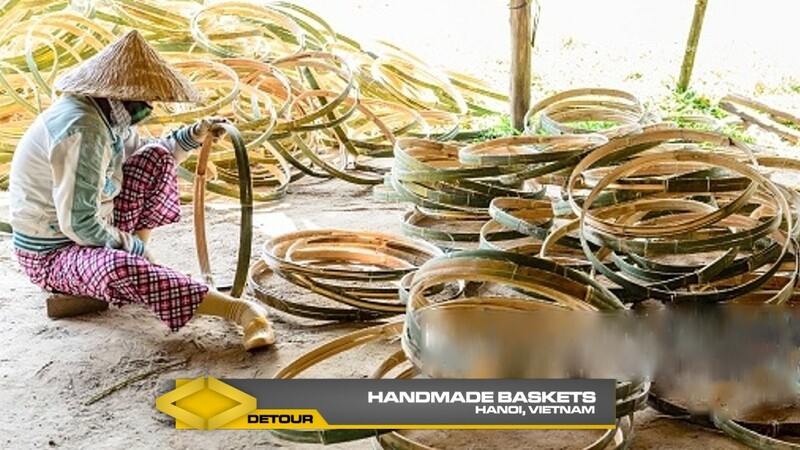 In Handmade Basket, teams must assemble four shoulder baskets used by Vietnamese vendors selling fruits and vegetables. If they have correctly assembled the baskets and are able to carry fruits and vegetables in them without breaking, they will receive their next clue. 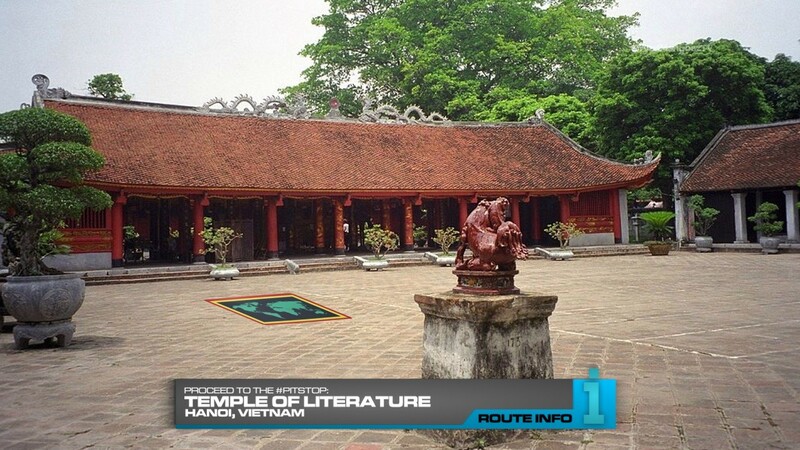 And that final clue points teams to the Pit Stop at the Temple of Literature. The first team to check-in here will win P100,000. They, and the rest of the Top 4 in this Leg, can also choose from two Express Passes and two Super Yields. Teams have the option of not accepting either pass which would then be made available to the next teams to arrive at the Mat. Woohoo! It’s exciting to have another season of TARPHDME, yes? Hehe. So after three seasons with gimmick casting and another two seasons with themed routes, this is a back to basics season. No casting gimmicks and *spoiler alert* no forced theme in terms of locations (i.e, “Ring of Fire” or “African Adventure”). Vietnam is an easy place to visit for the first Leg and it usually provides for some good Legs too. Since teams will be arriving at night, there needs to be an Hours of Operation. But instead of a simple HOO and pretty much rendering the Starting Line task pointless, how about a task teams can do immediately once they arrive in Hanoi? This is a perfect spot for a Duel Duel. It actually gives the Duel Duel a real consequence and impact on the Race without automatically dooming a team since they’ll still have the rest of the Leg in front of them. 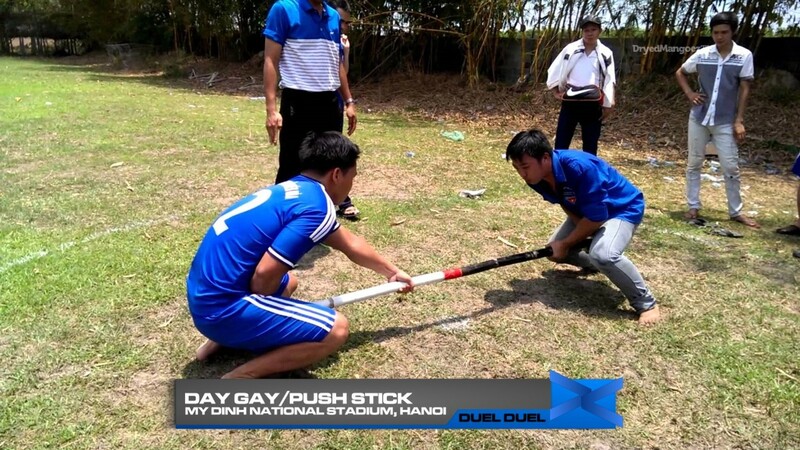 The “day gay” or “push stick” sport is very interesting, even though I’m not really sure I’ve described it correctly above. I don’t think I even fully understand the object of the sport actually. Haha. But whatever it is, it would make for a good Duel Duel task. The Road Block was actually something I stumbled upon while reading up on Hanoi. Of course, this was a task done on other TARs before, but I think it was in China. So once it saw there was a snake restaurant in Hanoi, I of course threw it in here. The Detour should be a good physical vs. mental challenge. The coals will of course be a lot of physical work. And the baskets will be mental in the sense that it’s tedious work, but less strenuous as long as they are focused. With 11 teams, this will be a good Detour to watch. TARPHDME has always tried to find different and fresh ways to hand out the Express Pass, Fast Forward and Super Yield. Giving them out as prizes for the leading teams on the Leg will hopefully push teams to really compete and do what they can to jump into the lead. Usually, teams like laying back in the first Legs. But here, good, strong Racing will reward them handsomely. Overall, I think this would be a great, exciting opening Leg.